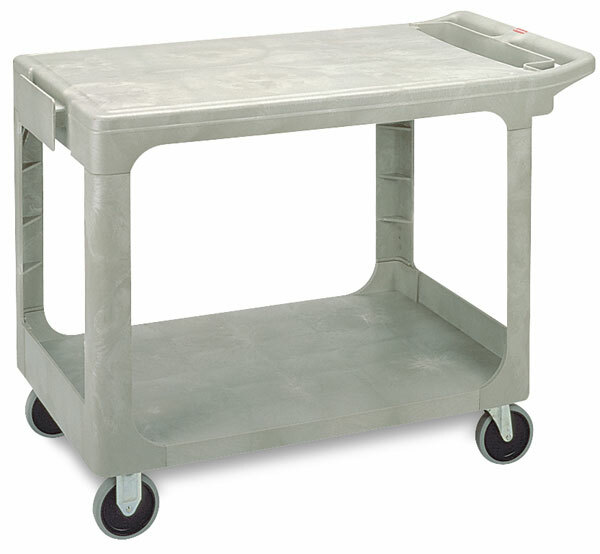 The Rubbermaid Utility Cart is made of durable, structural foam that won't dent, rust or bend. Rounded edges and resilient plastic construction are easier on doors and walls. This cart has quiet, non-marking casters and a convenient handle bin for storage of small parts. Holds 200 lbs. Beige. ® Rubbermaid is a registered trademark of Rubbermaid Incorporated.